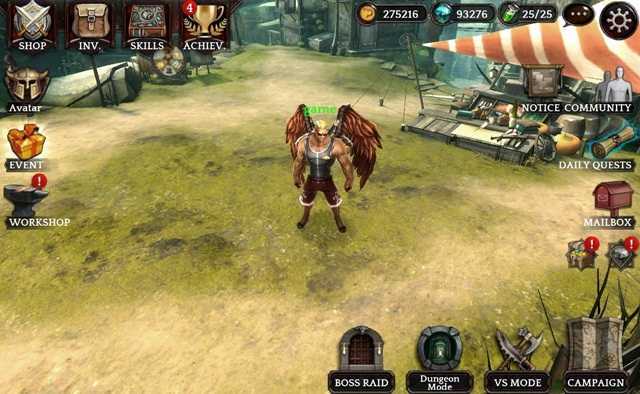 Android Reborn – Darkness Reborn is one of the most popular games on Android. It can be downloaded for free from Google Play Store. It is very exciting to play this game. So, it is important to know tips and tricks Darkness Reborn. It will help you to step up to the higher level faster. It belongs to one of the guides of Darkness Reborn game. You need to do all the daily quests. It may not change in often but it can be done fast. For example, it may only take about 10 seconds to clear the elemental dungeon’s first floor. It will help you to get up to 20 percents of a level up. The second tip is to send points to your friends. It should be done daily. You can send points to all of your friends each 24 hours for free. There are some achievements that you can get. If you are still a beginner, it is very important for you to focus on enhancing and evolving items first. It is needed until you reach about 20th level. It will be very helpful for more enhancements EXP. If you feel like stuck, I suggest you to grind away. It is the best choice. However, it does not matter if you prefer waiting until you get free gems or strongbox to upgrade your skills. I do not ever recommend you to spend money if it is not needed. Those are tips and tricks for playing Darkness Reborn. Actually there are still many other tips that you can do. Hopefully the tips and tricks above will be useful for you who like playing this game. Now, you can play and just practice those tips.